The heart of Southern Portugal is home to one-of-a-kind real estate marvel. 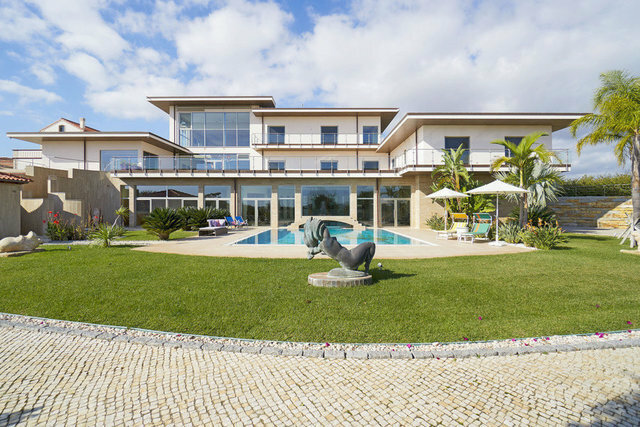 Conceived as one of the most outstanding private residential properties in the Algarve, this estate features the luxurious main residence, designed with a conglomeration of traditional and contemporary styles, guest accommodation, staff quarters, and a workshop developed from traditional buildings. The main house has three ensuite bedroom, seven bathrooms, living room, dining area, kitchen with a walk-in fridge, elevator and a unified indoor-outdoor swimming pool. Despite its size (1.868 m2) , the estate has plenty of infrastructures to keep maintenance costs to a minimum. Security and privacy were one of the top priorities when conceiving the design of this unique piece of prime real estate. An entire floor is dedicated solely as a spa and leisure area. This floor has everything you need for relaxing including a sauna, Jacuzzi, infrared cabin, massage room, rainforest shower, colour shower, relaxation chairs and heated spa beds, home cinema and games room. As well as the various fruit trees and beautiful gardens, the estate possesses 2.2 hectares of red grape varieties that were planted in 2006 and can be used to grow your own estate-produced wine. This "?smart house"? system ensures the inhabitants remain in control of all functions of this spacious house, through the use of touch panels found on walls in several living areas or even through configured iPads, providing control from remote locations.